The Bella Casa brand came to life in 1994. Cathy (one of our owners) completed Kitchen & Design sessions through KraftMaid Cabinetry and fell in love with the possibilities. A chance meeting with Mel Sullivan set the stage. 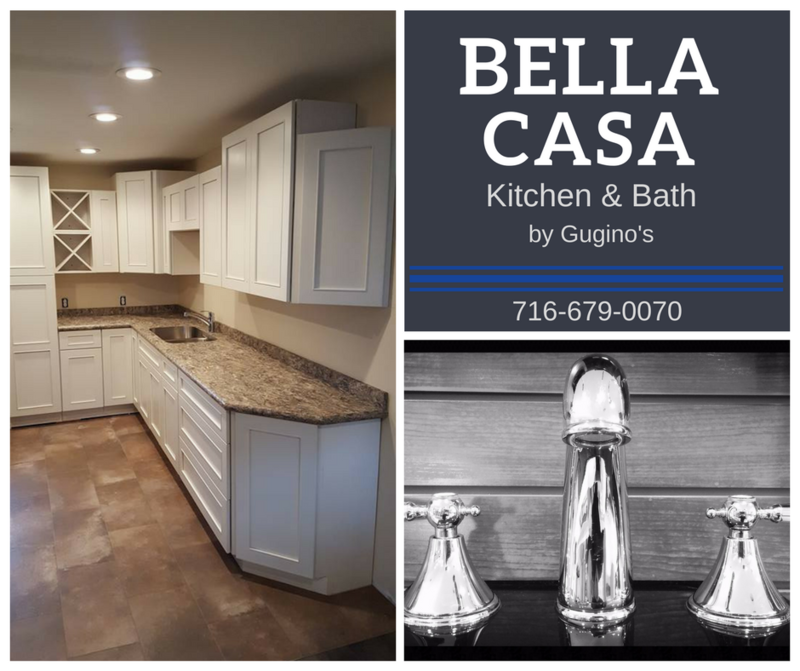 Mel was retiring and felt like the addition of the kitchen and bath line to Gugino's already growing business would be a perfect fit. The rest, as they say, is history...and the Bella Casa brand has continued to grow since then! We are currently remodeling our entire showroom, so it's a very exciting time to stop in and visit! the re﻿ality i﻿n your home! Every kitchen and bath project is unique to you. Each room is a personal expression of what you value, want and need. You have our promise to walk with you every step of the design and build process to make your dream kitchen or bath a reality. I'd like to talk with someone about my kitchen or bath remodel.